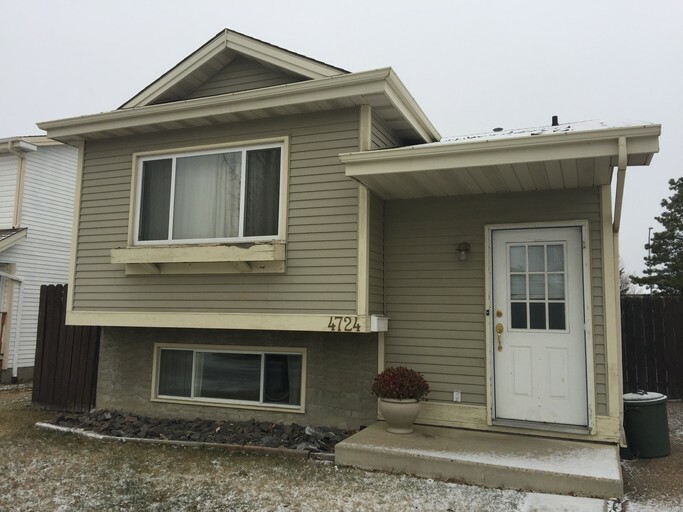 This is a bright and open 980 sq ft Bi-Level offering 2 large Bedrooms with one full tub stand up shower bathroom. The large living room in the front of the home has a large window, and lead down the steps to the front hall. There is a massive dining room area before you reach the kitchen, which has an expansive number of cupboard and lots of counter space, including a small eat up bar. Included is a fridge, stove, and even a dishwasher, plus a large pantry closet! Down the hallway you will find a linen closet, the full bath and the two spacious bedrooms, one with a full closet and the other with a washer and dryer in the closet. That means no more sharing laundry! Beautiful Cork flooring throughout! The back and the front yard are fully landscaped and there is a shed for storage. There is a large gravel parking pad, that fits two cars! Utilities are split with downstairs tenant. Meaning upstairs is in charge of 60% of charges.Call 780-701-7400 now to view this suite! !